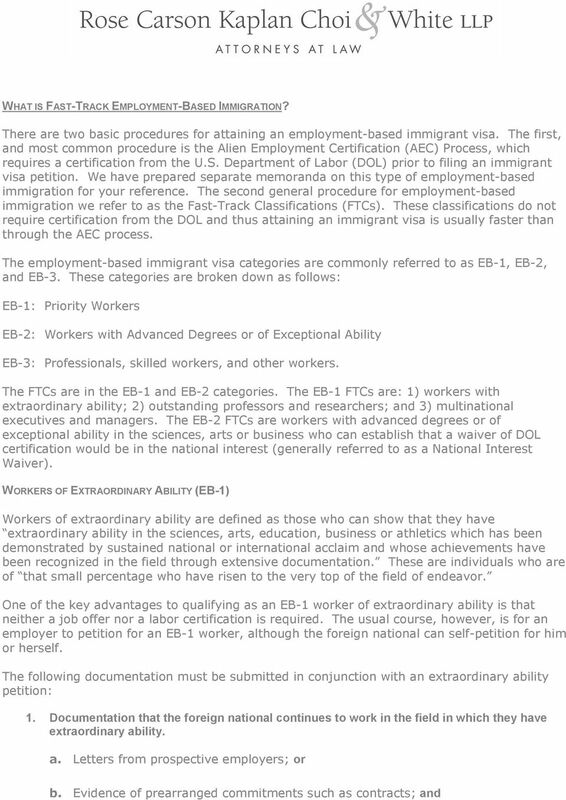 Download "The employment-based immigrant visa categories are commonly referred to as EB-1, EB-2, and EB-3. 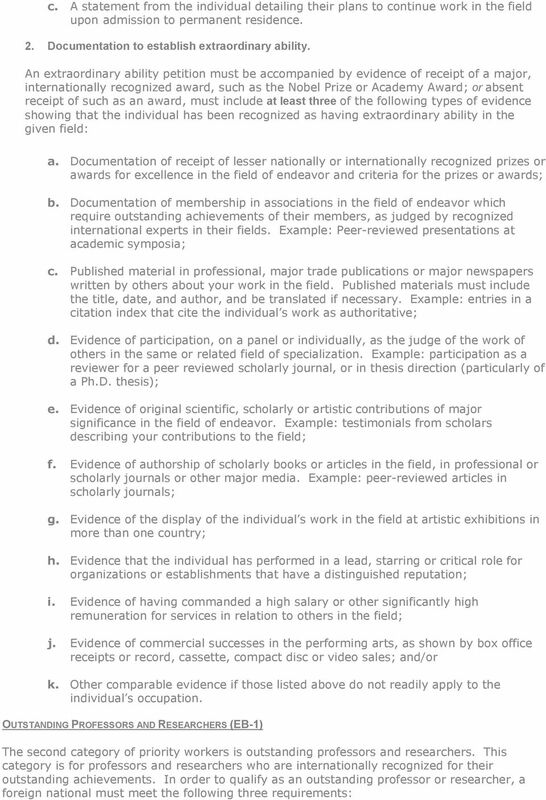 These categories are broken down as follows:"
4 c. A statement supporting the assertion that the individual has been involved in outstanding research; d. A statement of the writer s background and ability to evaluate the individual; and e. A statement of the writer s basis of knowledge of the individual s work. 3. Offer of employment for a permanent research position. The employer must also submit a letter along with the petition setting out the terms of employment. This letter must offer either of the following: a. 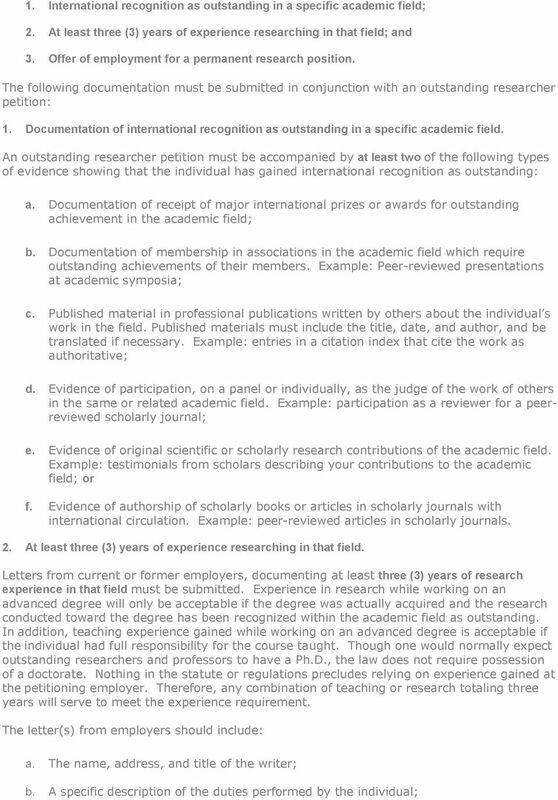 A research position having no fixed term and in which there is ordinarily an expectation of permanent employment; or b. A comparable position with a private employer accompanied by proof that the employer employs at least three (3) full-time persons in research positions and has achieved documented accomplishments in this field. Documented accomplishments in this field may be demonstrated by patents or articles by the company s employees in recognized journals in the academic field. 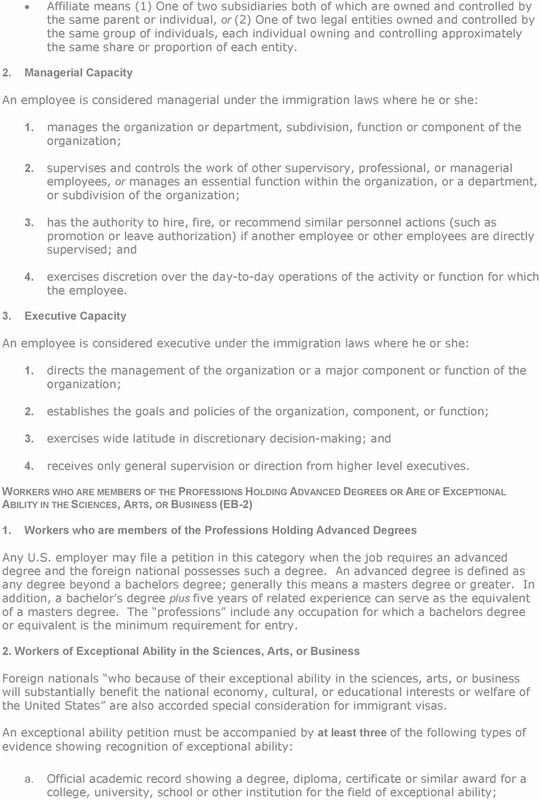 MULTINATIONAL EXECUTIVES AND MANAGERS (EB-1) The final EB-1 classification is for executives and managers of foreign companies who are transferred to the United States. 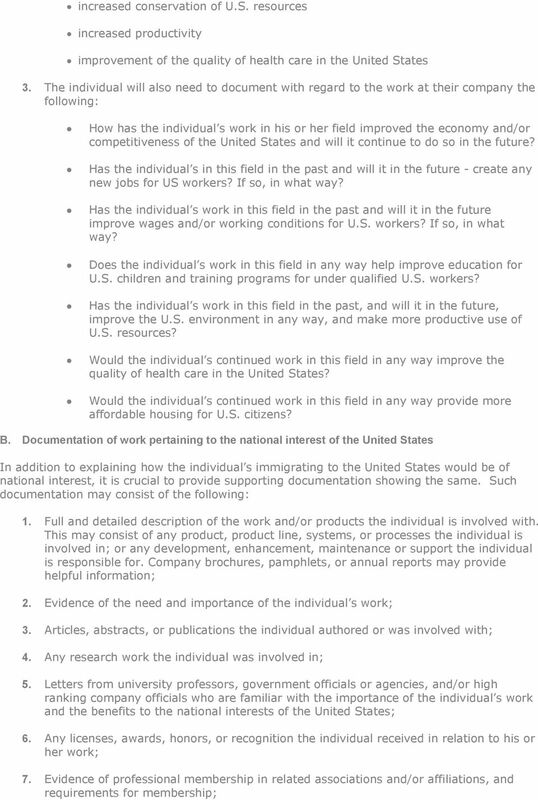 The requirements for this classification closely track those for L-1A intracompany transferees. 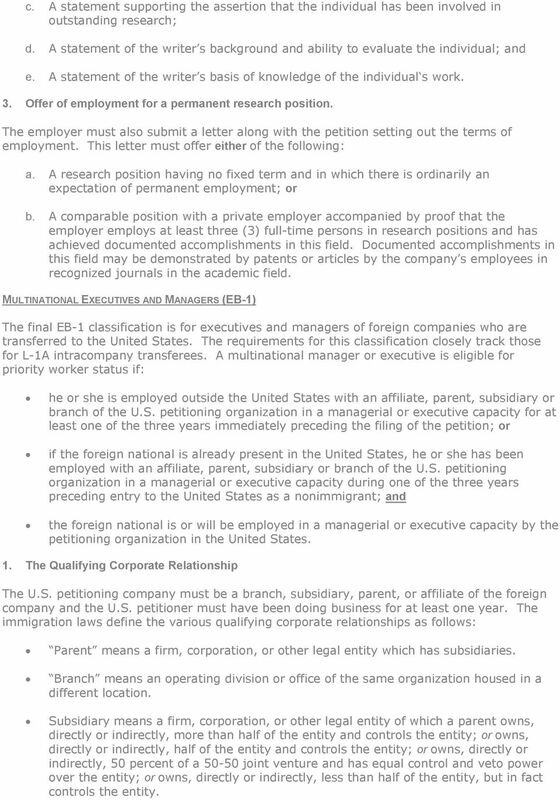 A multinational manager or executive is eligible for priority worker status if: he or she is employed outside the United States with an affiliate, parent, subsidiary or branch of the U.S. petitioning organization in a managerial or executive capacity for at least one of the three years immediately preceding the filing of the petition; or if the foreign national is already present in the United States, he or she has been employed with an affiliate, parent, subsidiary or branch of the U.S. petitioning organization in a managerial or executive capacity during one of the three years preceding entry to the United States as a nonimmigrant; and the foreign national is or will be employed in a managerial or executive capacity by the petitioning organization in the United States. 1. 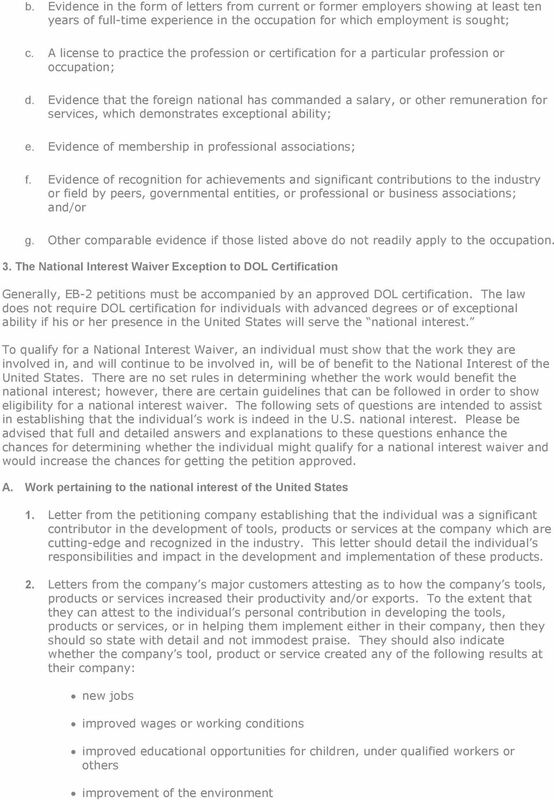 The Qualifying Corporate Relationship The U.S. petitioning company must be a branch, subsidiary, parent, or affiliate of the foreign company and the U.S. petitioner must have been doing business for at least one year. The immigration laws define the various qualifying corporate relationships as follows: Parent means a firm, corporation, or other legal entity which has subsidiaries. Branch means an operating division or office of the same organization housed in a different location. Subsidiary means a firm, corporation, or other legal entity of which a parent owns, directly or indirectly, more than half of the entity and controls the entity; or owns, directly or indirectly, half of the entity and controls the entity; or owns, directly or indirectly, 50 percent of a joint venture and has equal control and veto power over the entity; or owns, directly or indirectly, less than half of the entity, but in fact controls the entity.